After graduating from Pasadena High School in 1960 with honors, Dr. Marilyn K Jones entered the freshman honors program at Southwest Texas State University in San Marcos, Texas and because of Lyndon B. Johnson, the Strutters (Dr. Jones was one of them) marched in President Kennedy’s inaugural parade. Also Dr. Marilyn Jones sang second soprano in the choir at Southwest Texas State. In 1965 she received her BS in Biology-Chemistry and minor in English. She also received her teacher’s certificate and began teaching chemistry at Sam Rayburn High School in Pasadena, Texas. In 1968 Dr. Marilyn Jones received her MS in Chemistry from the University of Houston. She then started a PhD program in Science Education and supervised student teachers. She became an assistant professor of Chemistry at San Jacinto University and then went on to become an assistant professor of Chemistry at the University of Houston Downtown Campus. In 1970 she taught a six weeks summer institute for physics teachers under the National Science Foundation Institute. In 1970 Dr. Jones also presented a paper to the Academy of Science on “Unobtrusive Measures for High School Students as an Indicator of Interest.” This was the topic of her research. In 1975 upon acceptance to the University of Texas Health Science Center Dental School, she resigned from teaching at the University of Houston. Dr. Marilyn Jones’ heart lies in the health field. Her mother was a nurse and she instilled many health values in Dr. Jones. She received her` DDS in 1979 from the University of Texas Health Science Center Houston Dental Branch. She continues to study dentistry to keep up with the latest advances so that she can offer her patients the most modern dentistry available. 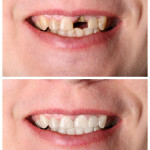 Presently Dr. Jones is the Director of Wholistic Dental Associates, the Director of Houston Dental Health Institute, and the Director of Houston Head-Neck Pain and Dental Sleep Disorders. 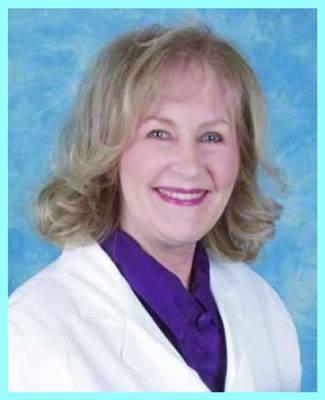 Dr Marilyn K Jones is a Fellow in The International Congress of Oral Implantologists and a Diplomate in the Academy of Clinical Sleep Disorders Dentistry. She attended the winter meeting given by the Academy of Head Neck and Facial Pain in Phoenix, Arizona in Jan 2000. Then Dr. Jones signed up for Dr. Omura’s first continuum with the Academy. The title of Corresponding Editor for Acupuncture & Electro-Therapeutics Research the International Journal was attained in 2004 as well as her Fellowship in the International College of Acupuncture and Electro-Therapeutics. The year 2008 was her ninth year to study under Dr. Omura and to assist him. He is her mentor and she attributes her health and vitality to him and his Bi-Digital O-Ring Technique. Dr. Marilyn K Jones has enjoyed many years of traveling to conferences as an invited speaker along with Dr. Omura and teaching the Bi-Digital O-Ring Applications For Dentistry. International speaking events have included: Berlin, Germany, Sao Paulo, Brazil, Paris, France, Lisbon, Portugal, Istanbul, Turkey, Tokyo, Japan, Taipei, Taiwan, Kaoshin, Taiwan, Hong Kong and Manhattan in New York. In 2009 Dr. Jones received 3 Dan certification in the Bi-Digital O-Ring Test. In 2010 Dr. Jones received 4 Dan certification in the Bi-Digital O-Ring Test. In 2010 she was made Visiting Associate Professor of Holistic Dentistry in the International College of Acupuncture and Electro Therapeutics. Speaking at the Japanese Symposium in Tokyo at Waseda University in July 2010 was one of the highlights of 2010 along with speaking at the Symposium at Columbia University Faculty House in New York in Nov 2010.